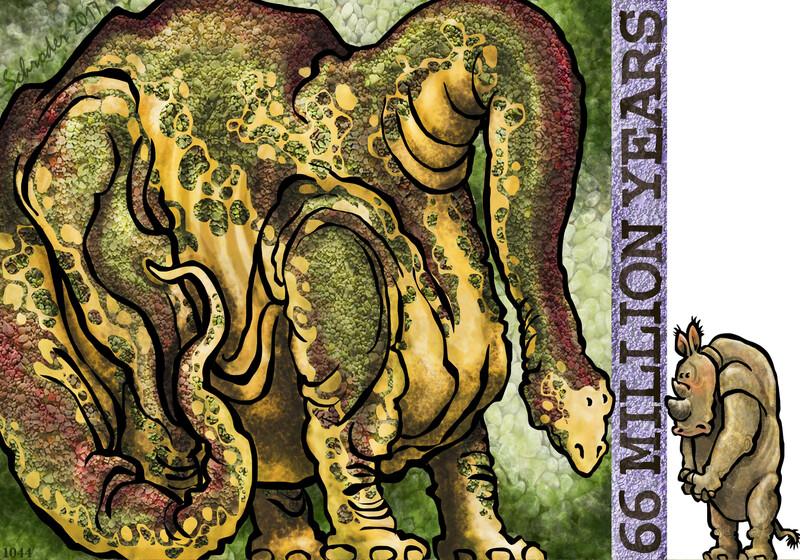 66 Million years is a long time, so We are told. Still, it supposedly shows how long ago the dinosaurs made their exit. It is as long ago for Rhinos as it is for our Readers. We may have been here 50 Million years longer than Humans, but there is still enough “say What?” to share. Ignorance is hard to combat successfully. Every Answer has a dozen implicit Questions tossing in its wake. Paleontology must be about the balance between Frustration and Aggravation… and Euphoria.